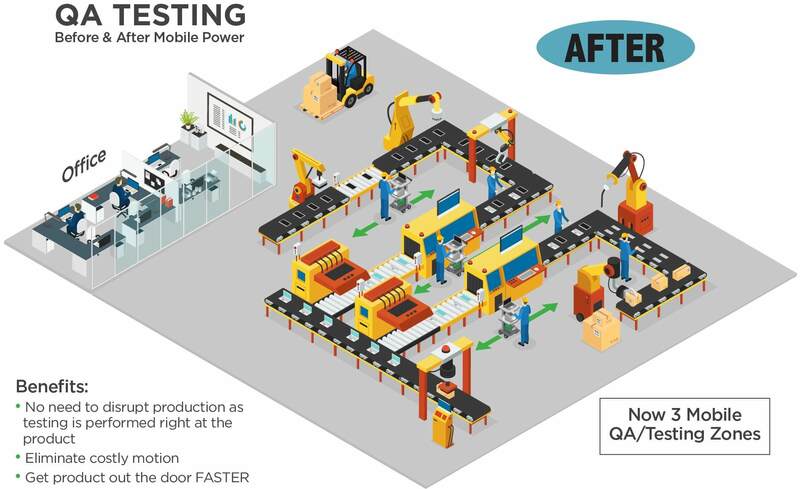 Pushed to do more with less, and to keep workers as productive as possible in the midst of a labor crunch, managers in manufacturing need state of the art tools that help them improve processes while also minimizing errors and ensuring the highest levels of quality. A manual QC testing process typically requires inspectors or line workers to walk parts or products to another location for testing. This process results in costly wasted motion to and from testing location, waiting due to multiple workers vying for equipment, as well as machine and line downtime. 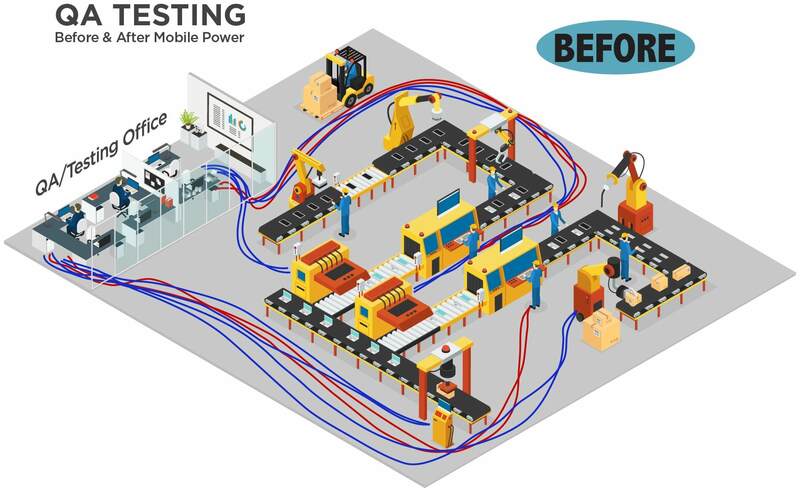 The following "BEFORE & AFTER" spaghetti diagram shows how Mobile Powered Workstations can reduce wasted motion simply by enabling workers to bring the testing process directly to your lines. 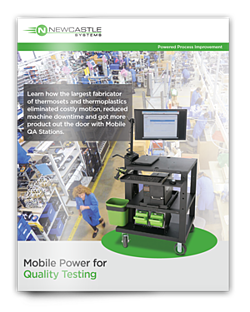 Learn how the largest fabricator of thermoplastics eliminated costly motion, reduced machine downtime and got more product out the door with Mobile QC Testing Stations. To learn more about the best solution for your quality testing process, contact your account manager, or request a quote today!